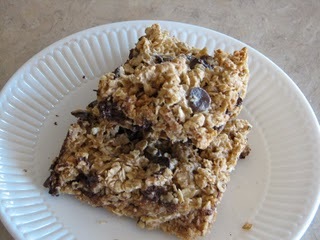 It has been a long time since I have made homemade granola bars. I have been wanting to make some but wanted to try a new recipe. I found one on allrecipes.com that I decided to try. I read quite a few of the comments that people had made and decided to change a few things. I used several of the suggestions and came up with a version of my own.